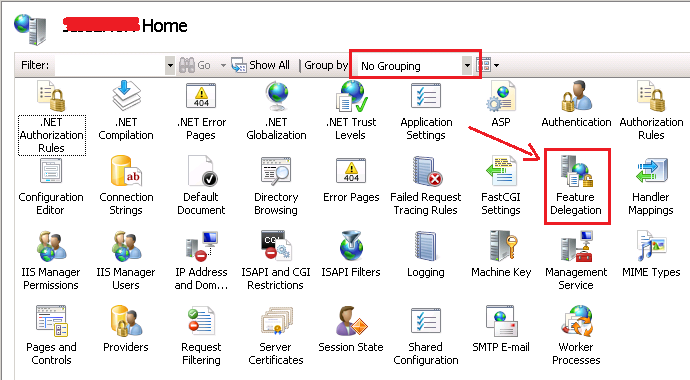 In this article, I am going to explain about HTTP Error 500.19 - Internal Server Config Error -This configuration section cannot be used at this path. This happens when the section is locked at a parent level. Locking is either by default (overrideModeDefault="Deny"), or set explicitly by a location tag with overrideMode="Deny" or the legacy allowOverride="false". Config Error         This configuration section cannot be used at this path. This happens when the section is locked at a parent level. Locking is either by default (overrideModeDefault="Deny"), or set explicitly by a location tag with overrideMode="Deny" or the legacy allowOverride="false". 2. 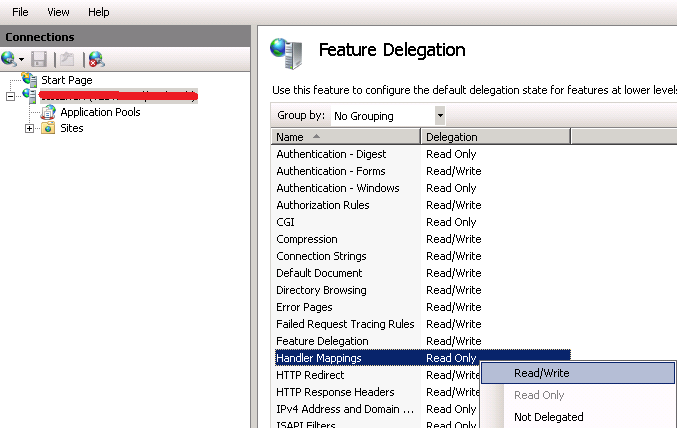 Then double-click the setting Feature Delegation. 3. 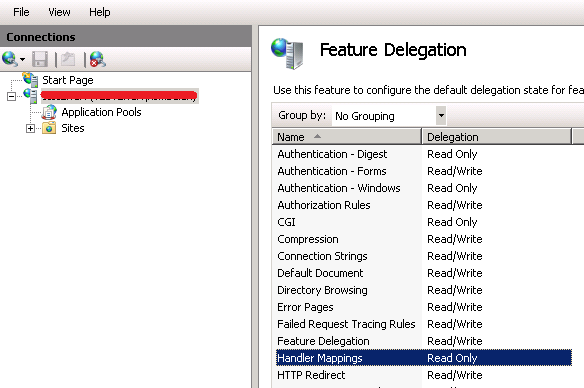 Then search and select the setting Handler Mappings which is supposed to set as readonly.